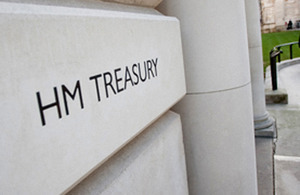 Regulations will incorporate new European rules on current accounts into UK law. Alongside the draft regulations the government has also published the response to its consultation, which closed in August. As the government set out in its consultation document, bank customers in the UK can already switch their current account quickly and reliably by using the 7 day Current Account Switch Service (CASS), which was launched in September 2013. Major UK banks have also already agreed to make available fee-free basic bank accounts by the end of 2015. In its consultation response the government has made clear where it has made changes to the draft regulations in order to provide greater clarity for firms and maintain existing structures that are working well. For example, the government has made an amendment to ensure that a fee cannot be charged for overrunning on a basic bank account, maintaining the current policy on basic bank accounts. The rules will not enter into force until September 2016, but the government intends to make the regulations by the end of the year in order to give banks and customers as long as possible to prepare for them.